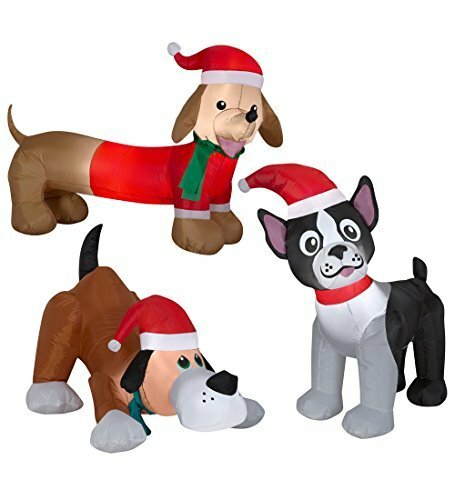 A trio of Christmas pups is what you'll get with this Christmas Airblown Inflatable bundle. Take home a Boston Terrier, A Dachshund and a little playful mutt. Each pup comes with 2 base stakes, 2 tether stakes and ropes, Airblown Inflatable with fan and power supply. Plug into any 110v a/c outlet.